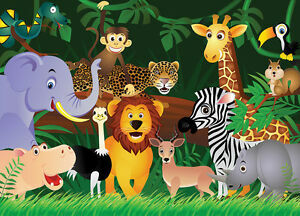 This month our focus will be on...Animals! We are excited to have Mr. Anthony from the nature company come to our classroom with a special selection of animals! The children will be able to observe, and touch the animals. When children have opportunities to see wildlife, a whole new world of wonder can open up. Common wild creatures such as ducks, squirrels, and backyard birds will bring a thrill to children. Seeing wild animals in nature can become a child’s treasured memory. Wild animals have certain qualities that make them mysterious and exciting to children. Their homes are different from ours and are built by the animals themselves. Wild animals have to find their own food, and they eat “weird things” like bugs and worms. They have special powers like flying, digging, and climbing (which children often fantasize about).